My iPad has become an essential part of my teaching toolkit; for various reasons. I am an advocate for using technology in the classroom. 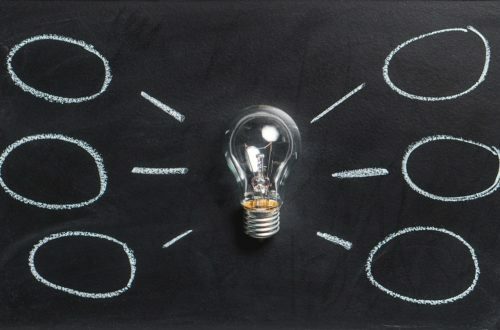 I always keen to learn about new technologies and share apps that can be used in the classroom to support and enhance learning.It is important to add that I believe in using technology purposefully and effectively, not for the sake of using technology or as a “gimmick”. I have undertaken research and further reading focusing on how best to use technology in the classroom to support and engage learners. I would recommend reading Perfect ICT Every Lesson by Mark Anderson, to build confidence, discover different strategies and find out about the SAMR model. You can read my review of his book here. In my previous school I was limited in regards to devices, as pupils did not have access to iPads but all Heads of Department across the school were each given an iPad. Naturally, Heads of Departments used their iPads to varying degrees and different levels. I fully embraced having an iPad in my classroom, even if it was just one device! In my current school, we are not yet a 1:1 College (where every pupil has their own device) but we do have class sets of iPads that we can use and we are flexible with bring your own device (BYOD). I am known within my College, amongst pupils and colleagues, as being confident and all embracing in regards to using technology in the classroom. 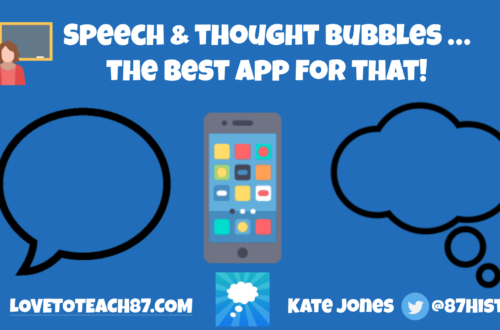 Recently I provided some inset training, sharing my favourite apps with teachers and I felt inspired to blog to share my favourite apps with a wider audience of teachers. Although, Typorama app and Adobe Spark are two separate apps they both have similar features and can be used in the same way. These apps are used to combine text and images to create impressive and stylish resources. Both apps are free (although Typorama app does cost to remove the watermark) and Adobe Spark Post can also be used in browser. I have previously blogged, sharing ten different ways I have used Typorama app in the classroom, including resources I have created and ways in which pupils have used these apps. If you haven’t tried these apps I strongly recommend checking out both! 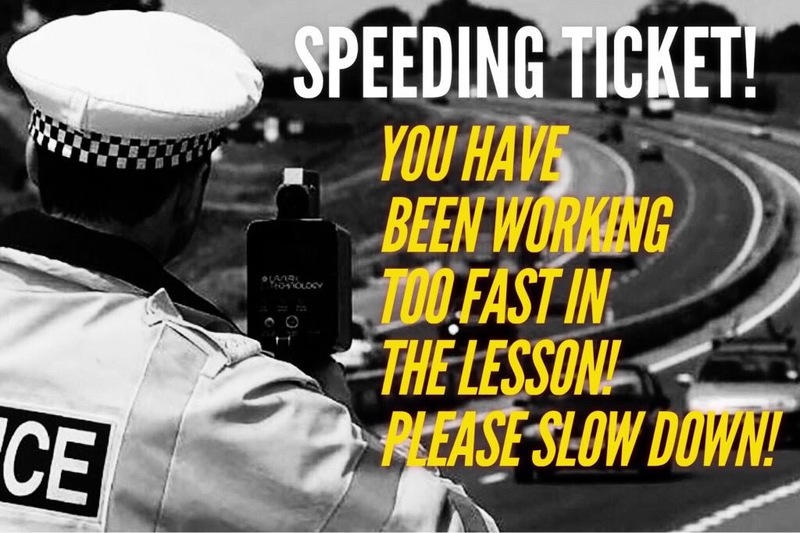 Speeding ticket resource for the classroom made using Typorama app. This is another amazing app that I can’t believe is free! 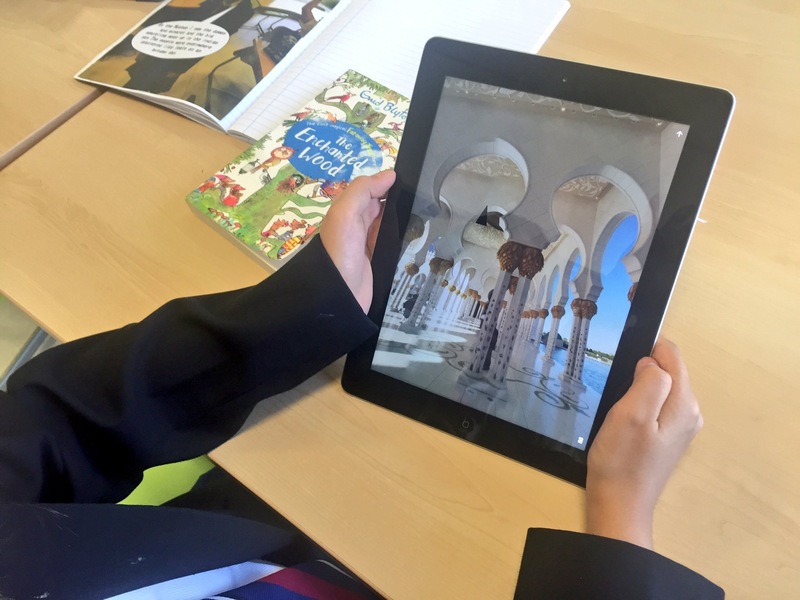 Google Expeditions allows you to explore a wide range of locations around the world as the website states it really does ‘bring your lessons to life’. 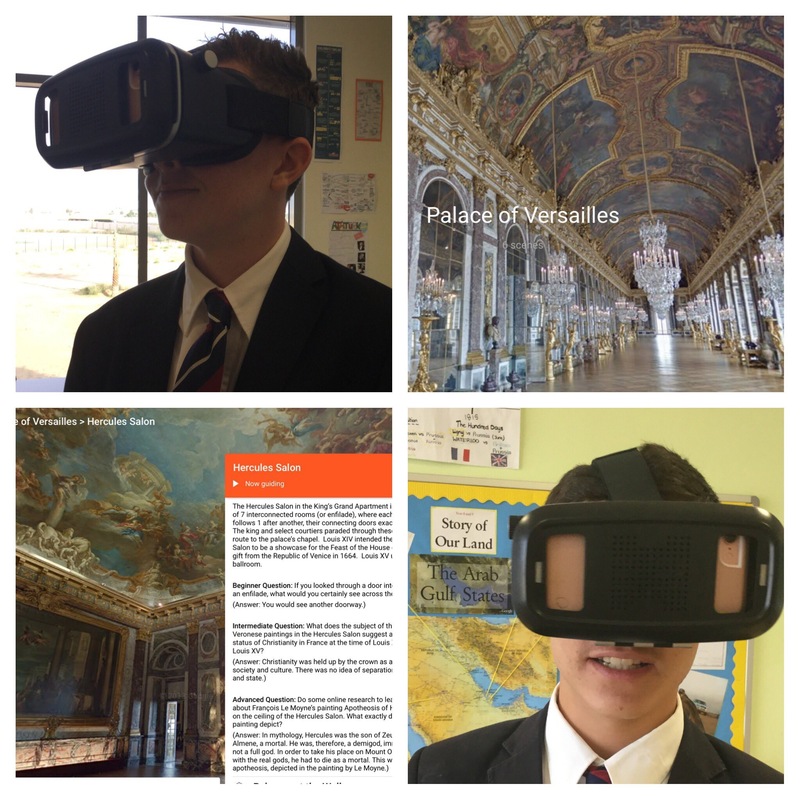 My pupils have experienced virtual field trips to the Grand Mosque in Abu Dhabi to the Palace of Versailles in France – very informative and memorable. You can also explore the ocean or even inside the human body! To use the app all devices are required to be on the same wifi. A login is required for the teacher who will be the guide and then the pupils connect as explorers. This gives the teacher control and oversight of where the pupils are looking, as the app can direct all explorers to one key point/feature/place. There is also an information section provided for the guide, which the explorers are unable to read, so there are some interesting facts to share as a virtual tour guide. Plickers – paper clickers – is a very popular site and app for quizzing pupils. Only one device is required, so if you are at a school with limited devices then this is great! On plickers.com you will need to create an account and input your class lists. Then you create folders with different questions for your classes. 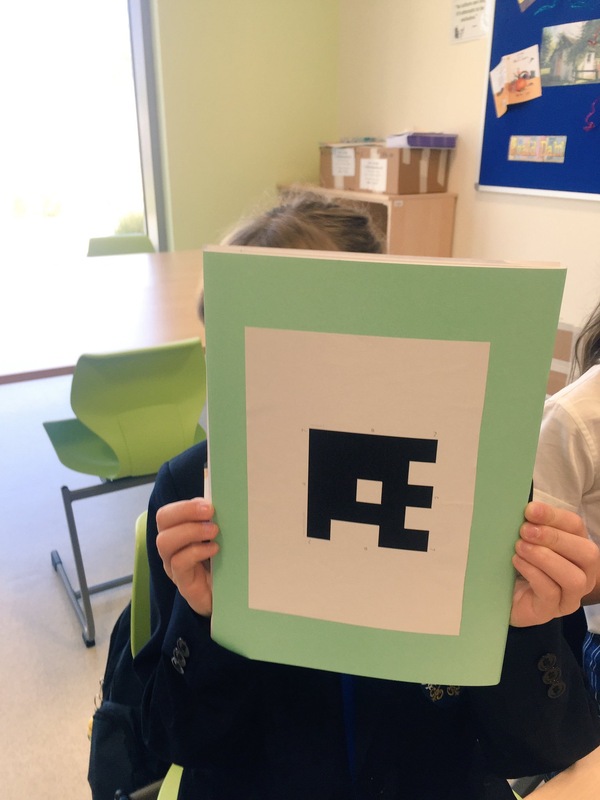 Through the website you can print the individual Plickers cards, as each pupil will be assigned a number and a Plickers square. The card will be used to hold up their answers, as the questions need to be True or False or multiple choice answers. The teacher then uses the Plickers app, using the same login as browser to connect live feed and will scan the class Plickers and automatically have pupils results saved. This is a very simple app to use and pupils enjoy this style of quiz. You can watch this useful, brief Plickers Youtube tutorial to find out more. Ping Pong app is not as well known or as popular as Plickers but this is another useful app for quizzing. It is completely different to Plickers. Ping Pong doesn’t require any class lists or questions to be uploaded, this quiz is more ‘off the cuff’. Basically, once again you sign in using an email account then the teacher is the Host and all pupils need to do is to select Guest and enter the room code created by the teacher. The teacher can write questions on the board, include questions in a powerpoint or verbally ask the class then pupils select the answer using the app. Once again, this style of quiz is based on True or False or multiple choice. 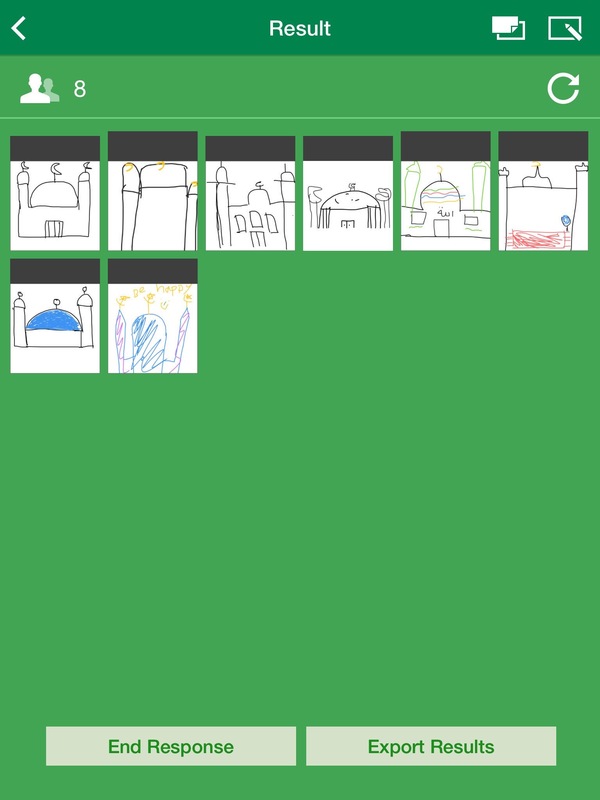 There are other features too such as being able to ask pupils to draw an answer then submit their responses to you, the Maths department have used this with shapes and my example below shows pupils drawing the features of a Mosque. There is an other option to include text, so answers can be typed then submitted to the teacher. The app doesn’t record pupil answers but there is the option to screen shot responses. Another fantastic app for quizzing that I would suggest checking out is Kahoot. Initially, I thought using Green screen technology in the classroom would be a lot more difficult and complex than it actually was! I was surprised how simple it to use -with any green background, including a painted wall or green cloth, paper etc and filmed using a device then finally put together using a green screen app. I have tried and tested many apps for green screen, but like many educators I think DoInk app is the best app for green screen. It is very straight forward and easy to use but provides excellent results. I have used the green screen myself but the best results are when pupils are speaking or performing in front of the green screen then edit the film themselves so they have been fully involved in the process. 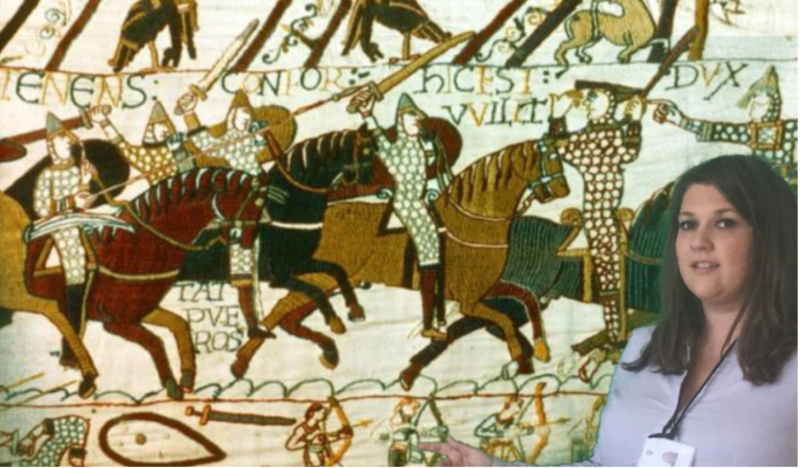 I have used DoInk and green screen in a variety of innovative and creative ways with my pupils; to find out more you can read my green screen blog here. WordFoto is a beautiful app that I have been using for two years, a lot in my subject History but also in other subjects. This app combines keywords with images, see my example below. There are so many different ways WordFoto can be used in the classroom effectively. Again, I have blogged sharing ten different ways to use this app, which you can read here. This app does cost but for the cheap price it is worth it! This app has features that can be used on Word and other programmes; however, it is easier and quicker – time is very valuable, so I am always in favour of finding time saving apps. Balloon stickies plus is a free app that allows the user to insert speech or thought bubbles onto an image selected from the camera roll. 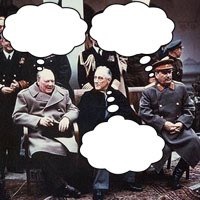 The example above shows thought bubbles of Churchill, Roosevelt and Stalin. Of course, pupils don’t know what these key individuals thought at such an important moment but we do have insight into the context surrounding the events. This app can be used for quotes and speech between individuals or characters. 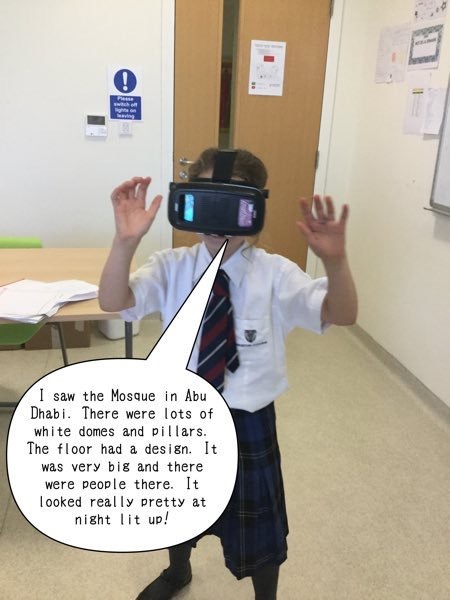 Below, my Y5 pupil using the app the describe what she could see using Virtual reality. I had never heard of this app being shared, but I think Desygner app has an impressive range of templates – not all designed for the classroom but plenty that can be used. 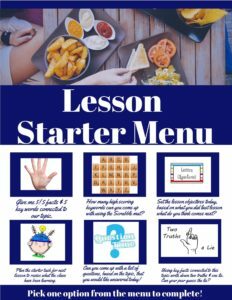 I have used the Desygner app to create many resources, including the starter menu below and there are plenty of templates for the take away homework menu – where pupils select the task they want to complete. There are CV templates, obviously helpful if creating a CV for yourself and/or with pupils, but my older pupils used the CV template to create historical CV’s for individuals such as Martin Luther King and Lenin, an alternative to the profile or fact file. 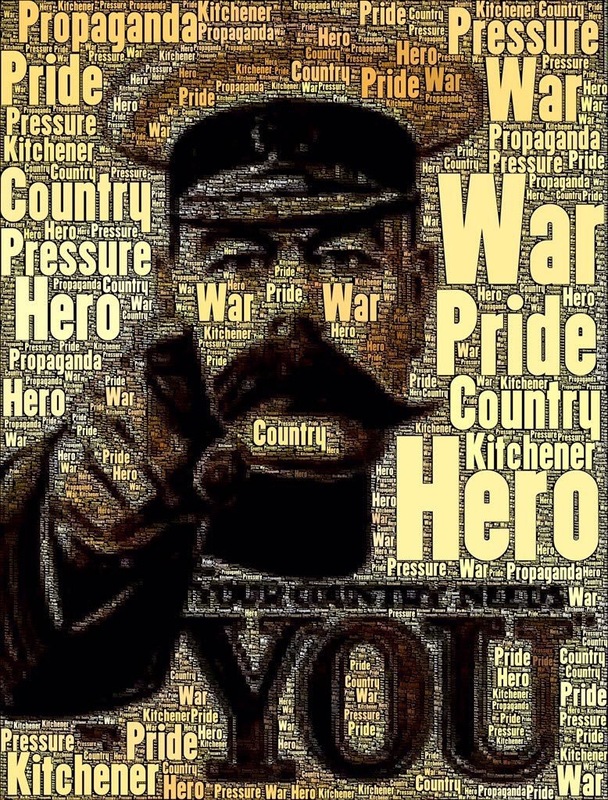 Other activities using the Desygner app include create your own book cover, Wanted crime posters, create flyers, collages, logos, certificates, newspaper front pages and more. Another wonderful app that younger pupils absolutely love is Tellagami app! Pupils create their own cartoon character a ‘Gami’ (they can pick gender, eye colour, facial expression, clothes etc) then a background can be uploaded before the pupil records a voice message. Again, this can be used by the teacher or the pupils. I used the Tellagami app when teaching languages as it was a useful oracy and listening task. The example below is a Y6 pupil reflecting at the end of a topic in Geography, explaining what she had found out. 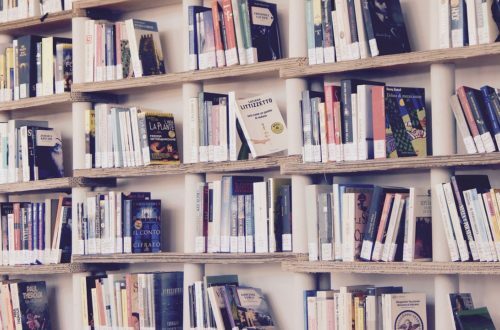 QR (quick reader) codes are not new and certainly not just for the classroom but they have so much potential for teaching and learning – I think they are great! There are a wide range of websites and apps to create and read QR codes, I would recommend the app QR Reader. QR codes can be used in so many ways; to make displays interactive, to access websites and links quickly, treasure or scavenger hunts, for support and challenge, flipped learning plus much more! 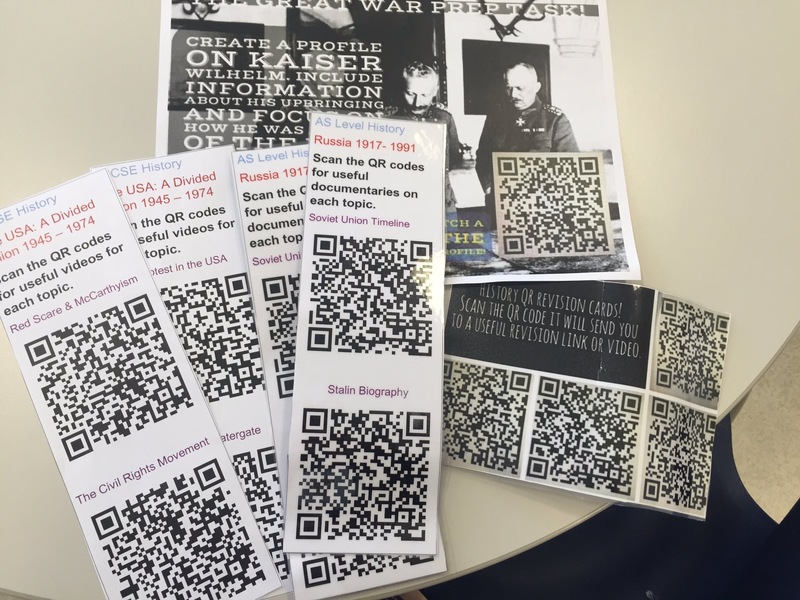 If you haven’t tried QR codes in your classroom then it is worth trying, because again its very simple yet effective so here is a blog with some advice to get you started. 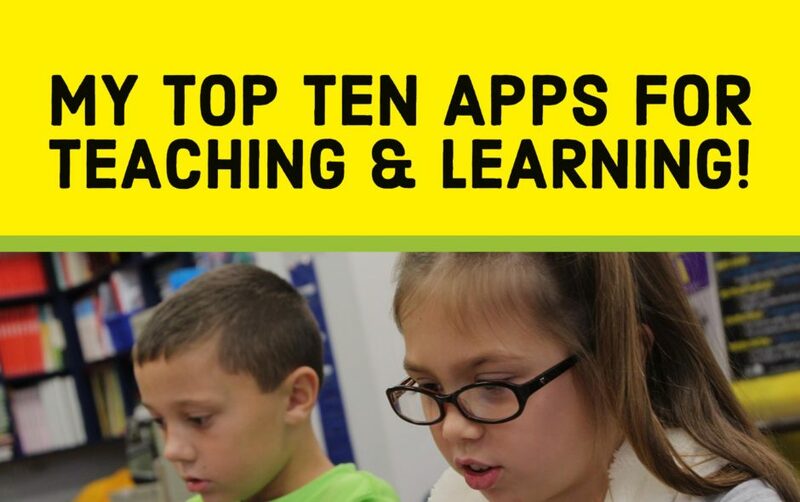 There are so many more apps I could recommend – other quick suggestions include Comic Life, Quizlet, Annotable, Curiscope Virtuali-tee and Augment 3D. Thanks for taking the time to read my post. If you find any of these apps useful then please share your feedback and how you have used the app in your classroom. If you have other apps suggestions for teaching and learning that are not listed then please do let me know! 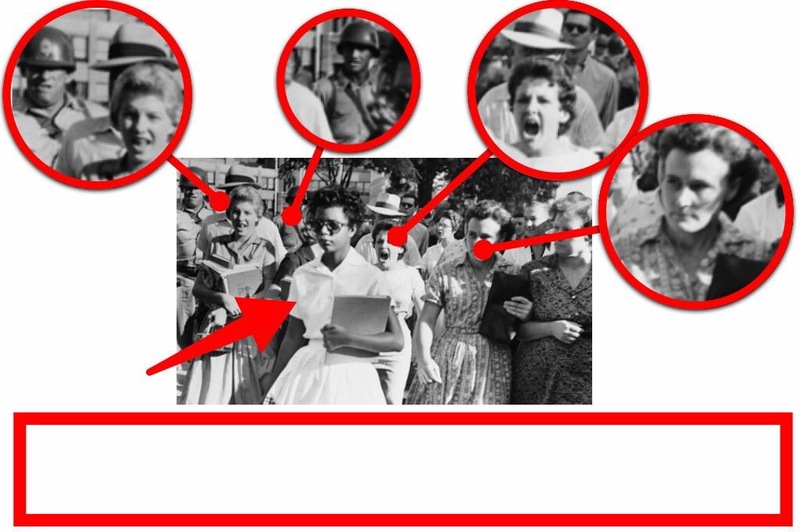 Annotable app used in History for photo source analyisis. 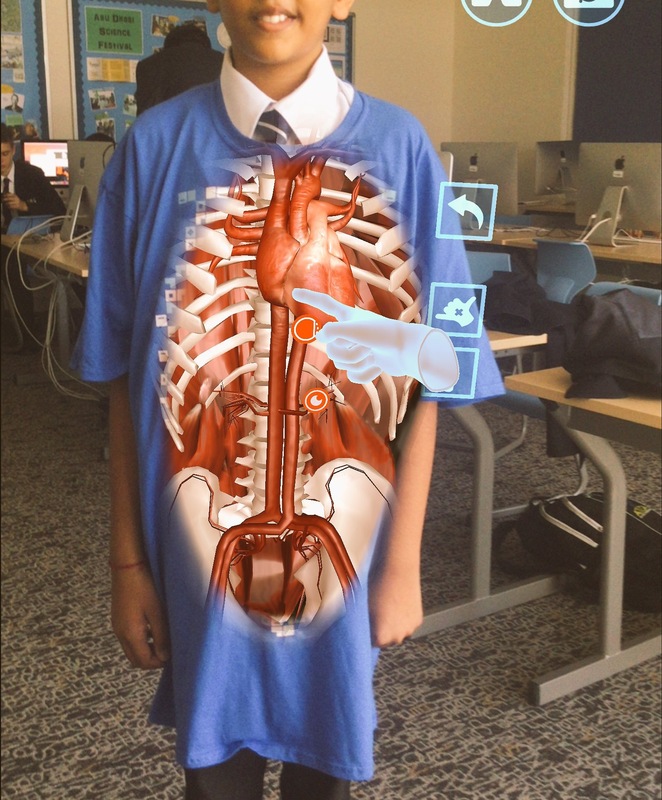 Curiscope Virtuli-tee t-shirt and app to explore the human body! 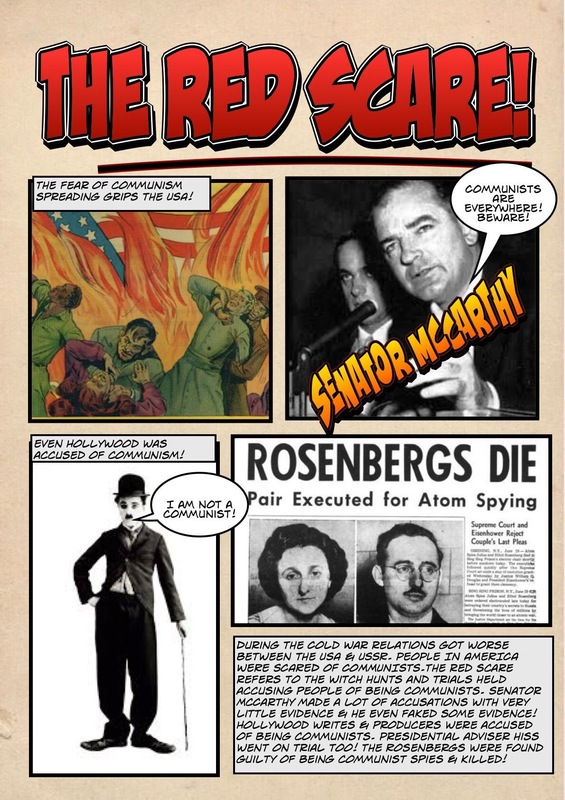 Comic Life app used to create revision comic strip overview. I absolutely love seeing teachers showcase how they use apps in their lessons. I’m already familiar with Plickers but have never heard of Google Expeditions and WordPhoto – Very interesting! Thank you so much for the feedback! I will read your blog now thanks for sharing. Thank you, I edit and publish all my own blogs. Mark Anderson designed this site. Next post Linking learning grids!